The Design Team have been hard at work with their Penny Blacks and have some gorgeous inspiration to share with you over on the challenge blog here along with all the details. You can use any brand of stamp except digi (NO DIGI IMAGES), the focal point of your project must be stamped to be in with a chance of winning one of our fabulous prizes. 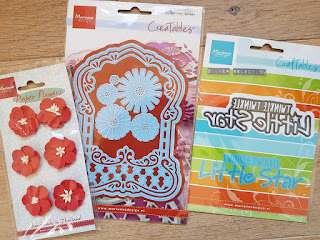 One lucky winner using a Penny Black stamp will be chosen to be a Guest Designer on a future challenge. We have been generously sponsored by. Wendy is kindly providing the prize this week - some lovely handmade embellishments and ribbons. The weather has changed this week from a glorious 17 degrees last weekend to just 3 last night with the possibility of a bit of snow brrrrrr. Still lots to do in the garden over the next couple of weeks to put the garden to rest until spring. Don't forget to change your clocks....an extra hour in bed. The colours we are looking for are red, gold, green. Check out what my lovely teamies have to share with you here along with all the challenge details. Check out what my teamies have to share with you over on the challenge post. Check out what my lovely teamies have to share with you here along with all the challenge details. So....last week we had autumn and this week l have jumped a season to winter, l started out by heat embossing the tree in white then played around with my inks. Finally stamping the deer, birds, foliage and sentiment. I wanted to do my moon a bit different so went for a reddish colour. We get the most amazing night skies here and as l live out in the country the stars are just fantastic.